I was wondering what series to do next when the most obvious choice hit me. 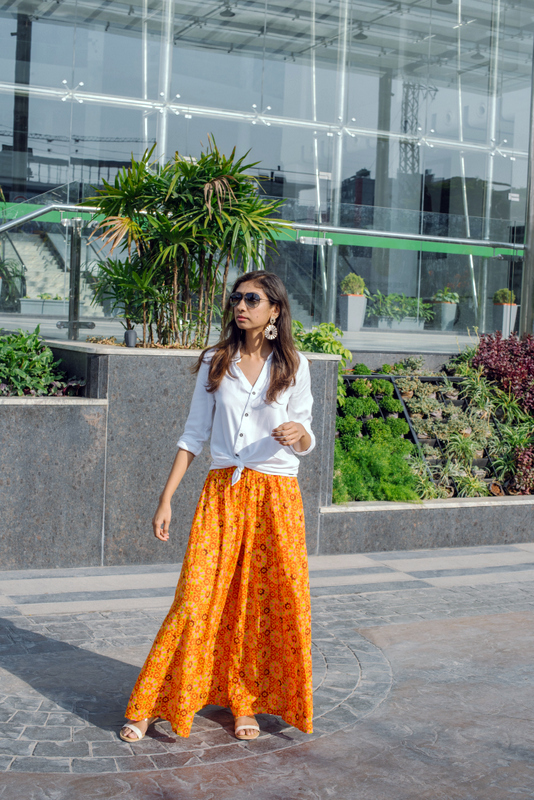 With summer starting and (almost) never ending, there is no dearth of ideas for cute summer outfits. You still have to get dressed in this heat, go to work, go out with friends, go shopping, go to events and so much more. So you might as well make it worth your while. It can be tempting to grab the same old cotton t-shirt to wear every other day, because I don’t know about you but, my mind stops working in this heat. And on some days I just can’t be bothered about my old clothes or frizzy messy hair. So to keep you guys as well as myself inspired, I decided to do 7 looks for 7 days of summer. 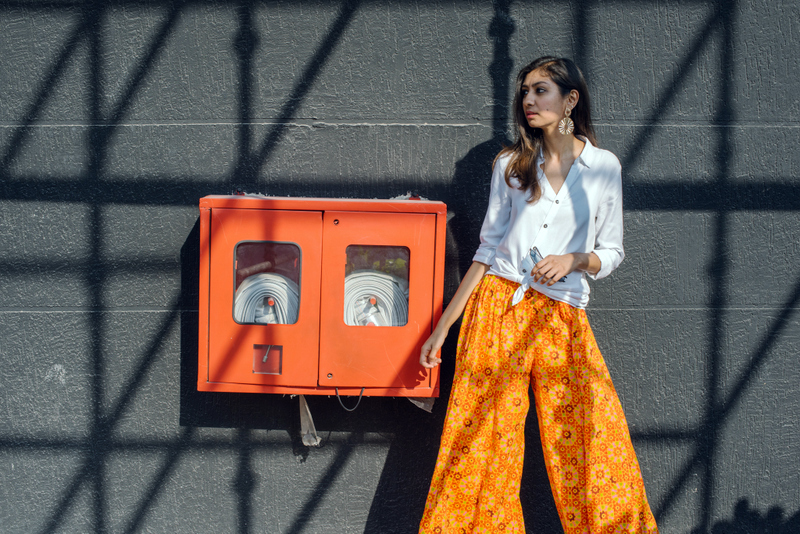 7 very essential, basic looks for summer that can probably take you though the entire season with ease. If you have palazzos in your wardrobe, I think you are set for life. Not just summer! Pair it with crop tops, t-shirts. Kurtis, buy them in prints, solid colours, high waist, formal, with a little flare, a lot of flare. 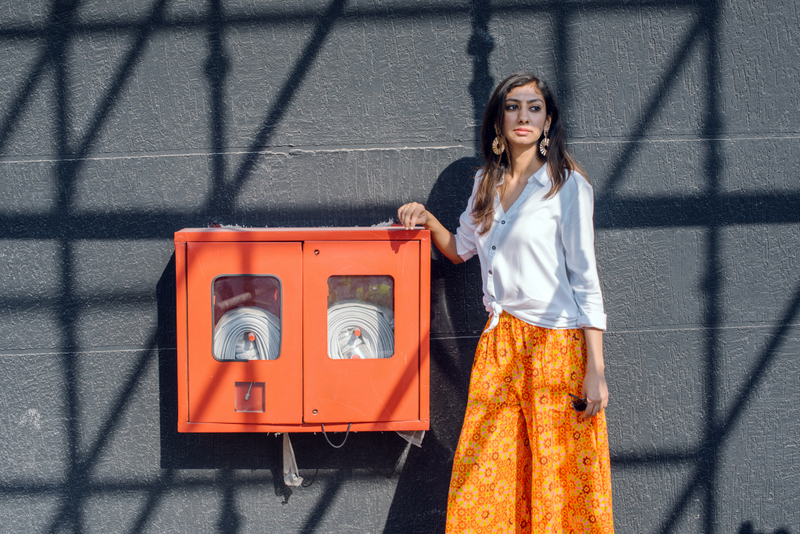 A printed cotton palazzo and a white shirt knotted in the front, paired with glamorous gold earrings is one of my favourite go-to looks for the summer. Nothing spells comfort like palazzos, and chic like a hint of gold! Wow amazing, Looking pretty in palazzo and the color combination is awesome.